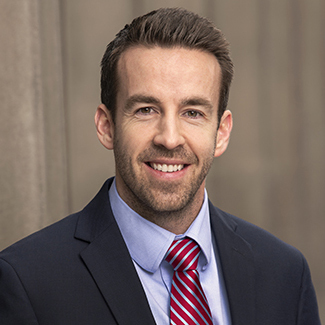 Jeremy’s practice focuses on complex commercial disputes, catastrophic injury cases, products liability, professional liability, and insurance defense. He represents corporations and businesses in contract disputes, unfair competition issues, trade secret claims, lease issues, and other commercial disputes. He defends corporations and individuals in cases involving wrongful death and catastrophic injuries. Jeremy represents a wide variety of product manufacturers, including manufacturers of pharmaceuticals, nutritional supplements, medical devices, recreational equipment, heavy machinery, and automotive parts manufacturers. He also represents health care professionals, design professionals, accountants, attorneys, and other professionals in negligence and professional liability matters. Personal Injury: Represents injured persons and defendants in personal injury actions involving catastrophic injuries, wrongful death, and automobile and semi-truck accidents.